Welcome to the 2018 season of Camp Gan Israel. We are delighted that you are joining us and are looking forward to a wonderful camp experience with your children. Camp Gan Israel is committed to providing a highly stimulating and exciting camp season. Everything we do with your children, from sports and swimming, to arts & crafts and cake decorating, to field trips and Challah baking, is designed to enhance their self esteem, teach cooperation, increase their level of responsibility, and ground them in a rich tradition of Jewish values and customs. The staff of CGI is anticipating a superb summer. The counselors have been selected for their talents and personal warmth and their ability to care for each child. We encourage you to get involved and keep in touch during the summer. You will discover that your child’s summer at Camp Gan Israel will be a summer of fun and adventure and will be remembered for years to come. Please note: A few details will be updated in the coming weeks. Camp is located at the Jefferson Elementary School; 1400 New Garden Rd. Camp begins on Monday, June 25th, and runs through Friday, July 20th. Campers must be dropped off between 8:50 am – 9:00 am and picked up at 3:30 pm. Our day begins with morning line-up. It is at this time your child will be told important information including contest, field trips and the like. Late pick-ups are difficult for and unfair to staff. Please make sure to be prompt. We strongly encourage close communication between parents and the camp staff. Please don’t hesitate to call us should any issue or question arise. To reach Camp Gan Israel during summer operation call 336-423-3049. Our weekly Camp newsletter, the GI journal will include a detailed schedule of the upcoming week, tell about special events and trips, and will keep all family members up to date with Camp Gan Israel activities. The camp is dedicated to providing a fun and SAFE environment and therefore, head staff are trained in CPR and First Aid. We strive to maintain counselor/camper ratios that far exceed those mandated by the State. Certified lifeguards (in addition to counselors) supervise swimming and, when on field trips, contact is maintained with the base camp by means of mobile communication. In case of a medical emergency, G‑d forbid, parents (or guardian) and family doctor (listed on the registration papers) will be contacted immediately. 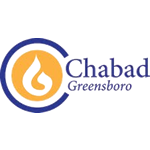 If you wish to have your child release at any time to anyone other than yourself or your designate, arrangements must be made before 3:30 pm of that day with Hindy Plotkin (336.423.3049). A verbal message or a note to the counselor is insufficient. If you plan to pick up your child at any time other than dismissal, arrangments must be made by calling Hindy Plotkin at 336.423.3049. Camp Gan Israel: was created to provide children with a comprehensive & meaningful summer program, while fostering growth individually & socially, in a jewish atmosphere. The daily schedule includes an exciting mix of sports, field trips, special courses & activities, designed to be educational, fun & conducive for building character & nurturing friendship. Our exciting sports program will include a variety of sports such as Soccer, Basketball, Kickball, Floor Hockey, Softball and Baseball. Campers will learn fundamental skills, basic team strategies and gain an understanding of the games. The camp will be going on a Field trip every Tuesday & Friday. Every child must wear a camp T-shirt on all trip days. Every registerd camper will recieve a complimentary camp T-shirt. Additional camp t-shirts and camp caps can be purchased for $10 each. Please be sure to fill out the form regarding t-shirts to ensure you recieve the shirt (s) you need for your child. If it’s gooey, slimy, slippery and most especially fun then it is mad science. Discover how much fun science could be while exploring age-appropriate biology, chemistry, earth science and physics with hands on activities and creations. Girls ages 6-13 will design their own scrapbook and learn specific techniques such as cropping, collage and borders. Participants are required to bring 8 to 10 photos (or copies) on the first day of Camp. Boys ages 6-13 will have the opportunity to work with different woods in a safe and professional environment. Our Judaic programming is designed to instill campers with a love for Judaism and pride in their Jewish identity. The camp Judaic experience comprises, engaging activities, hands-on projects, stories, songs and crafts. Making a Difference: Our “M.A.D.” Program is value-based and scheduled weekly. 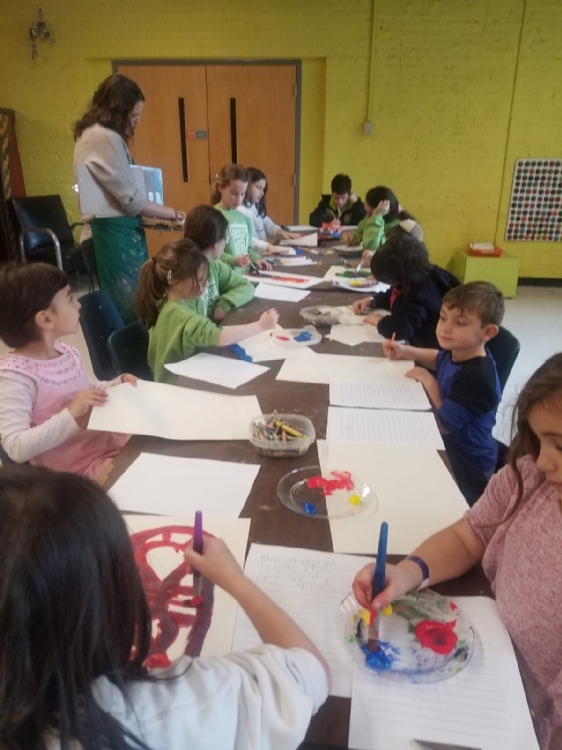 Children have the opportunity to participate in a variety of activities; all of which help other people and strengthen the Jewish Community. This encourages children to reach out to others and to enjoy doing so. Activities may include, baking challahs for seniors and creating cards for patients at Children’s Hospital. Mock Jewish Wedding: One of camp’s most anticipated events is the mock wedding. Campers plan, and rejoice at the “CGI Wedding”. Team-Building and Leadership Program: An initiative designed to teach campers trust, group problem-solving, creative thinking, conflict resolution, self-awareness and leadership skills. A facilitator leads children through specially designed activities to teach these important attributes. Campers ages 6 & up will be going swimming twice a week at the Starmount pool. On every swimming day, campers must come to camp with a bathing suit, towel, watershoes and sun screen. please have all items marked with permanent marker or labels with your child's name. Please send along a smock for arts-and-crafts, an extra change of clothing for water activities and sunscreen (to remain in camp). In order for campers to be able to participate in all activities, it is crucial that they either wear or have a pair of gym shoes in camp. Please mark all swim gear, accessories, etc. with a permanent marker to avoid loss. There is a special Lost & Found box for lost articles, which are distributed every Friday. Please alert us if your child has lost an item. The camp is not responsible for items lost during camp, but will do our best to locate them. We strongly urge you not to send expensive items to camp. If you are interested in arranging a car pool with other parents, we would be happy to assist you in locating other parents in your area. No standing in moving vehicle. No arms or hands outside the windows. Always listen to the driver and car monitor. Exit the vehicle only according to the instructions of the driver or monitor. * Please notify us if your child must adhere to a special diet. Please label everything, hats, towels, sunscreen, etc. Do not send valuables to camp. Camp Gan Israel cannot be responsible for lost or stolen items. On water trip days, please make sure to send water shoes.